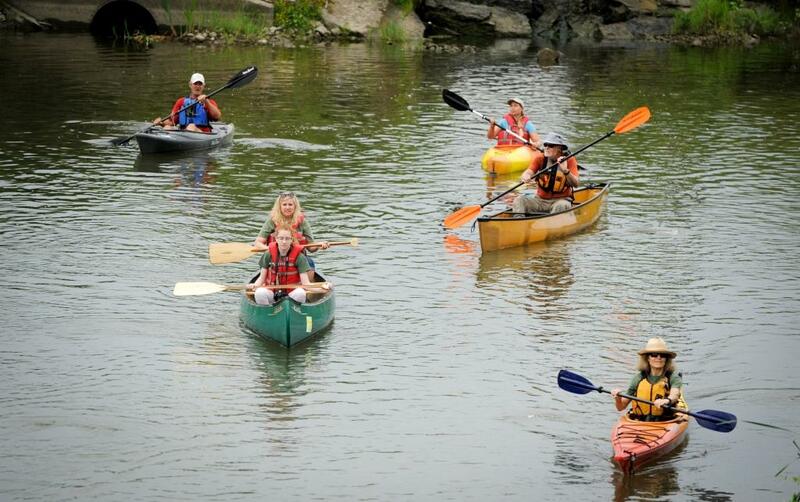 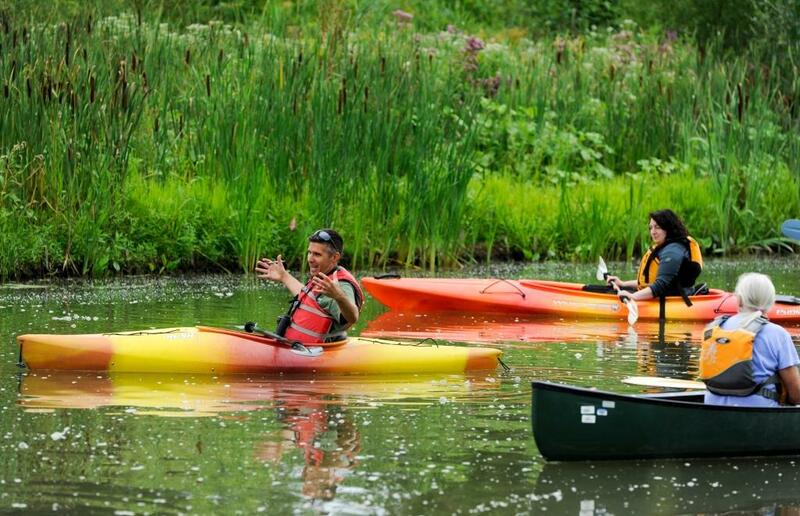 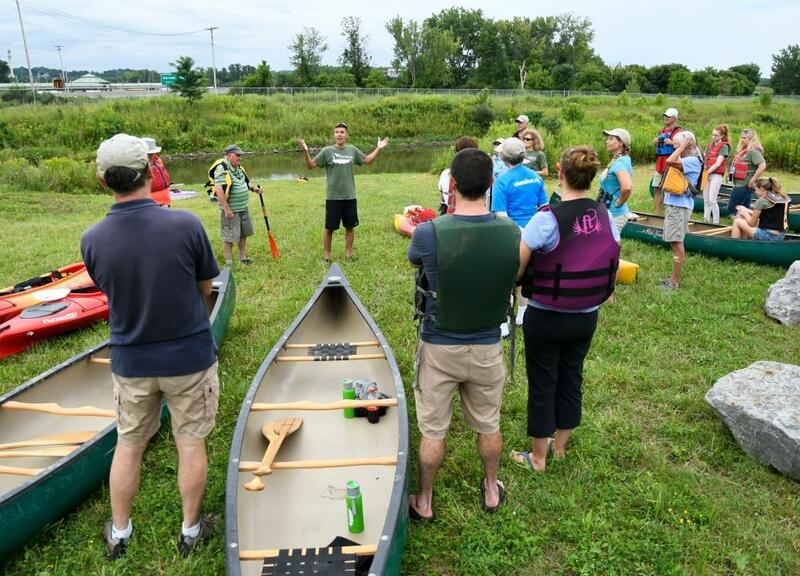 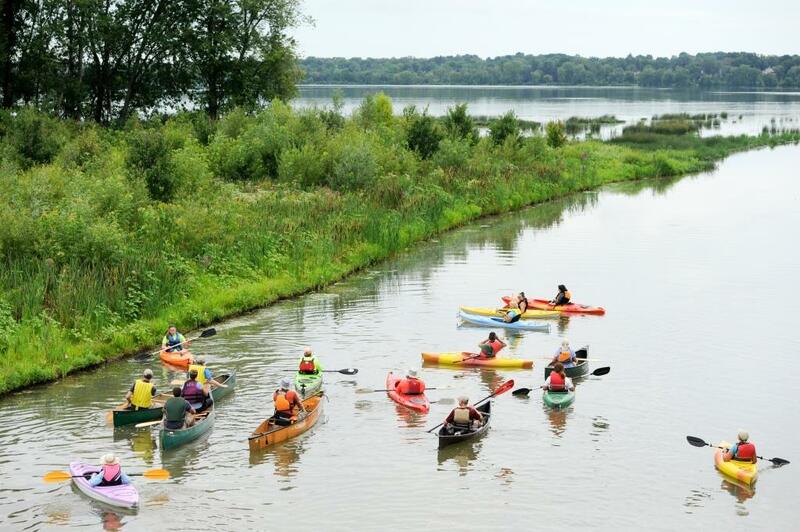 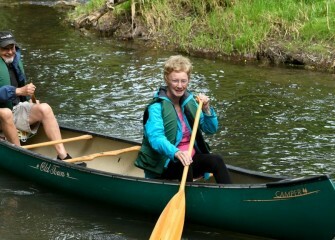 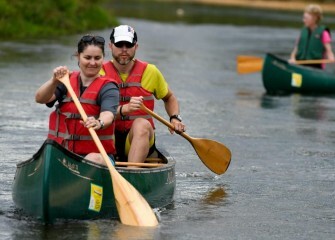 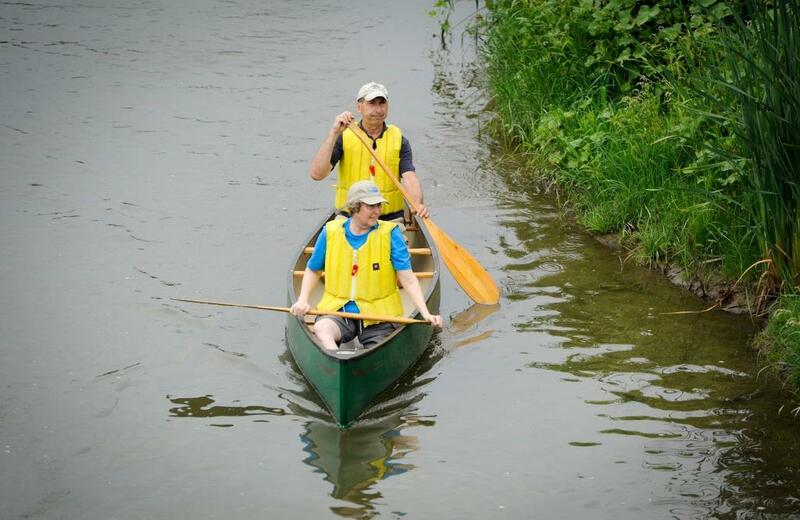 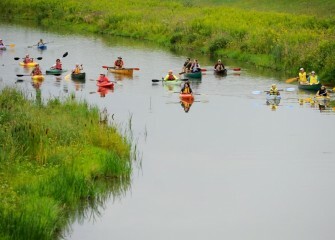 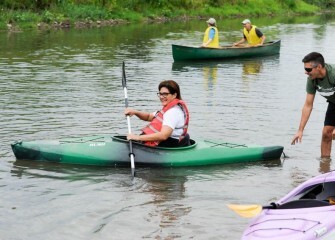 Home » Gallery "Nine Mile Creek"
August 2018 - Central New York community members participated in a paddle on Nine Mile Creek organized by the Onondaga Lake Conservation Corps. 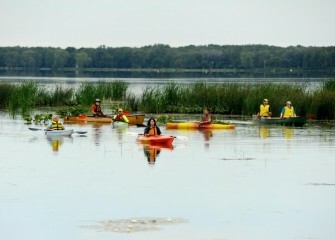 Some were first-time participants. 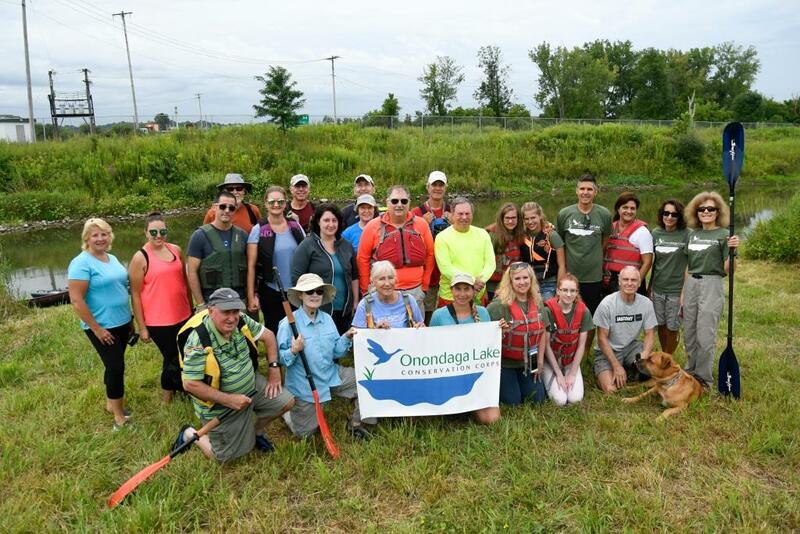 August 2018 - More than 18 acres of in-lake and shoreline wetlands were created near the mouth of Nine Mile Creek in 2016 as part of the Onondaga Lake cleanup. 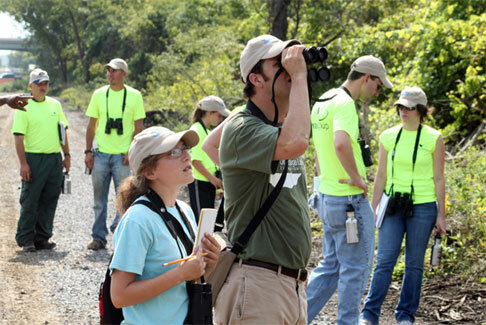 August 2018 - Chris Lajewski, Center Director at Montezuma Audubon Center, discusses bird sightings and behavior. 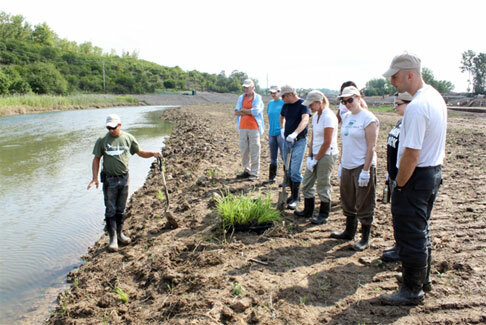 August 2018 - Katie Moranz (left closest to shore), a habitat expert with Parsons, shares information about the wooded wetlands at the mouth of Nine Mile Creek, designed for varying water conditions during the year. 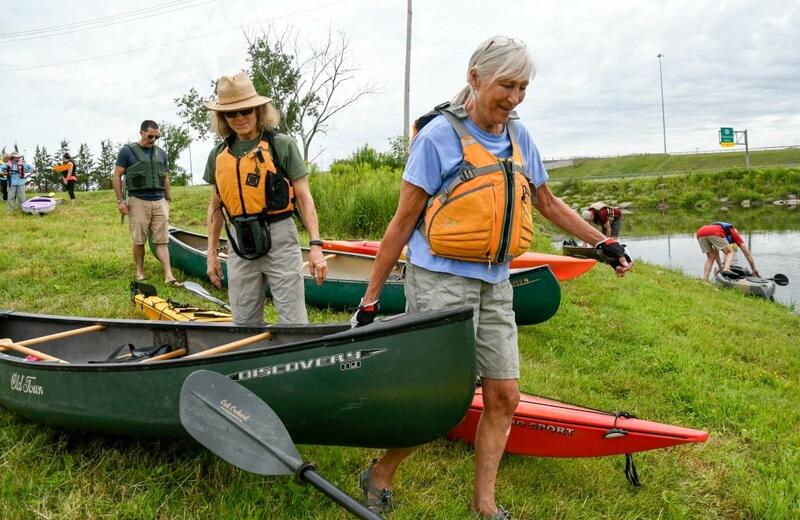 August 2018 - Jill Russo (front left), of Baldwinsville, and daughter Marena (right) stated it was nice to see areas you don’t normally see on the paddle, as well as the plants, butterflies and wildlife. 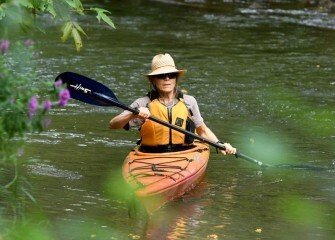 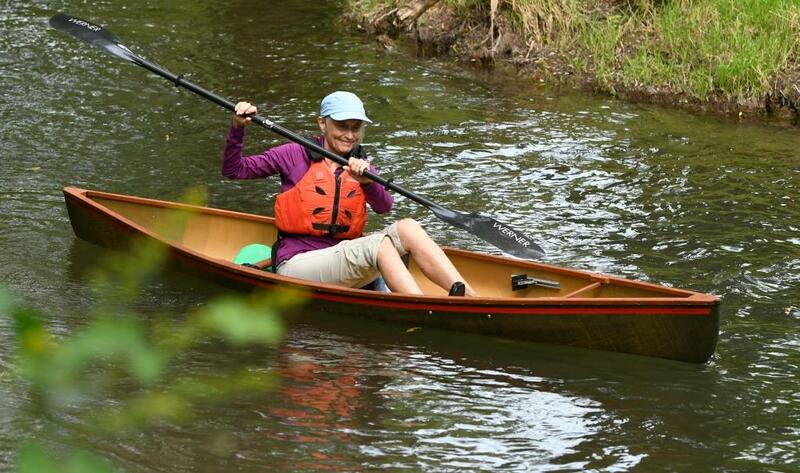 August 2018 - Lauren D’Hollander, of Washington, D.C. , enjoys the leisurely paddle along the creek. 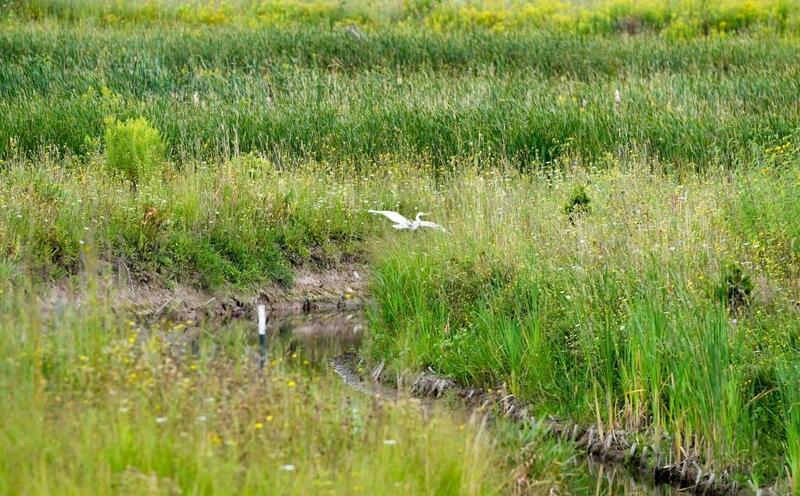 August 2018 - Nine Mile Creek and restored habitat along the creek have become home to more than 145 fish, bird and other wildlife species since completion of the creek restoration in 2014. August 2018 - The Corps seeks to inspire future stewards of Onondaga Lake and its watershed through hands-on experience-based programs. 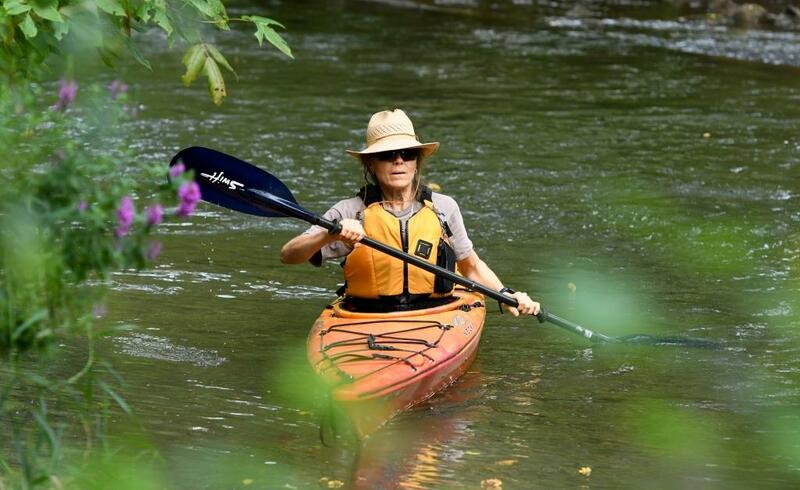 August 2018 - The paddle route offered close up views of diverse native vegetation, as observed by Angela and Alex Thor, of Syracuse. 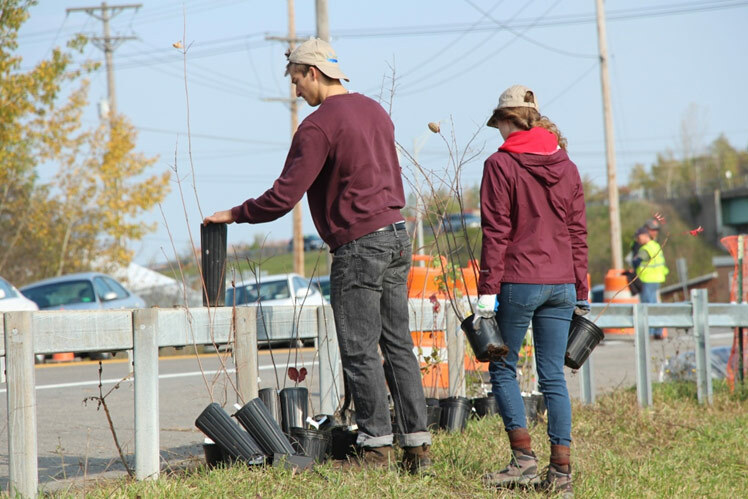 August 2018 - Onondaga Lake Conservation Corps members Tim and Colleen O’Dell, of Liverpool, said they “did not realize the restored area was so vast” as most of the habitat viewed cannot be seen from highway I-690. 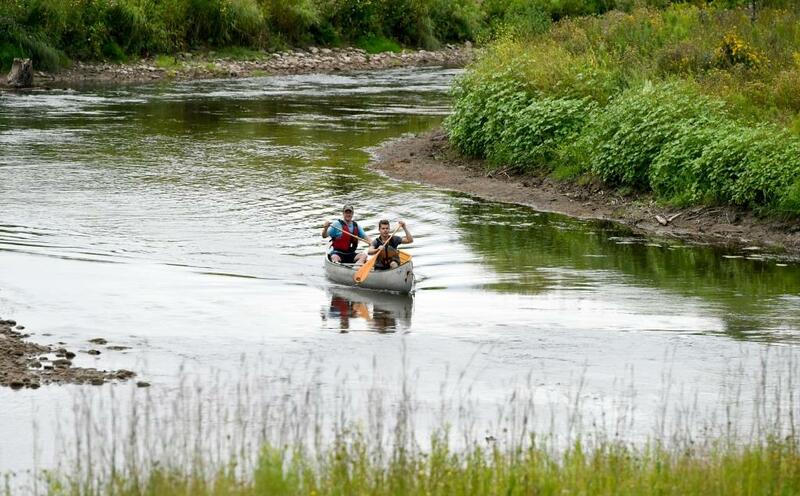 August 2018 - The approximately 1.2 mile route from Pumphouse Road in Geddes to the mouth of Nine Mile Creek traveled through restored areas. 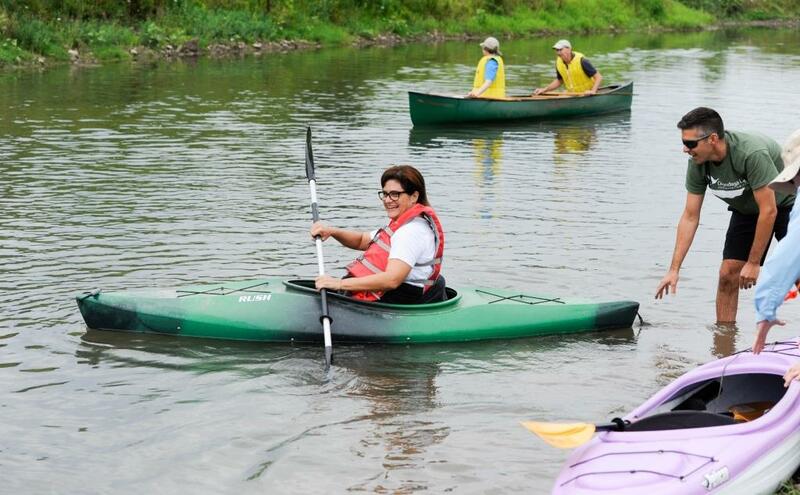 August 2018 - Magda Monteza enjoys her first Corps event and first time kayaking. 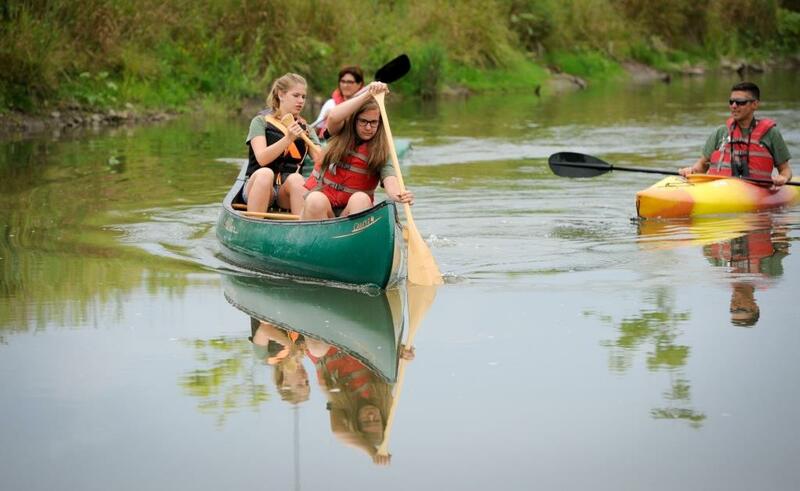 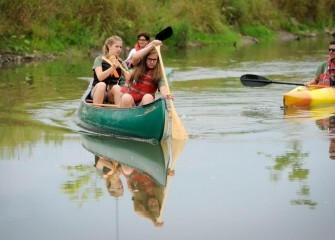 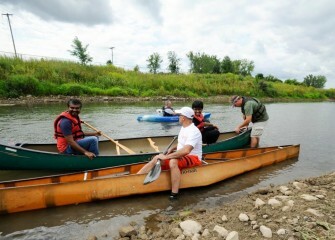 August 2018 - Ami Kadar (foreground), of Syracuse, a first-time Corps participant, prepares to launch her canoe. 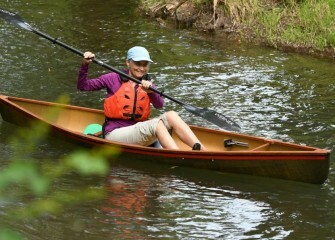 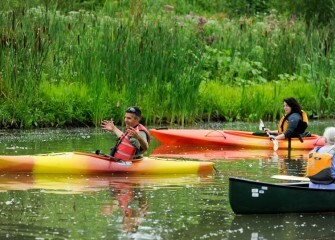 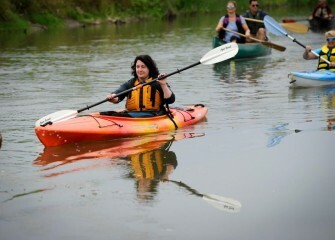 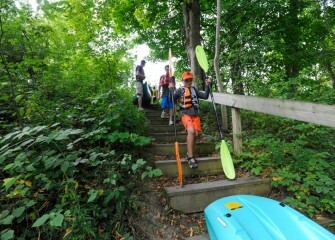 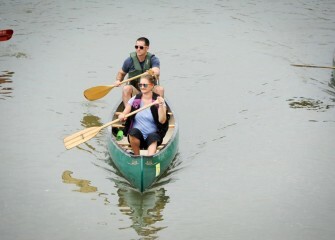 Ami later said the experience was “wonderful, really beautiful” and that she took a lot of photos during the paddle. August 2018 - Montezuma Audubon Center Director Chris Lajewski (center) welcomes participants, explains the paddle route and describes what the group can expect to see. 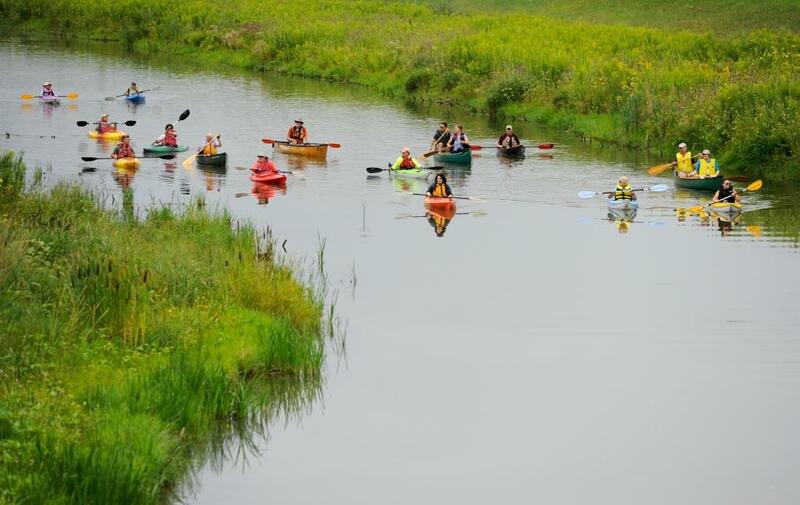 August 2017 - Forty-one community members participated in a paddle discovering a restored Nine Mile Creek on Saturday, August 19. 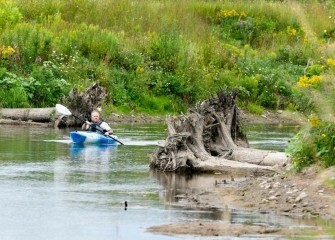 August 2017 - Tree trunks lining the creek provide additional shoreline support. 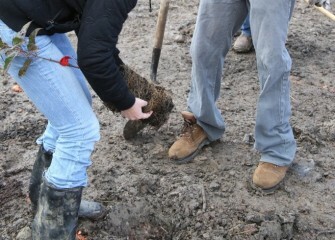 The tree roots create diverse habitat conditions for fish and other wildlife. 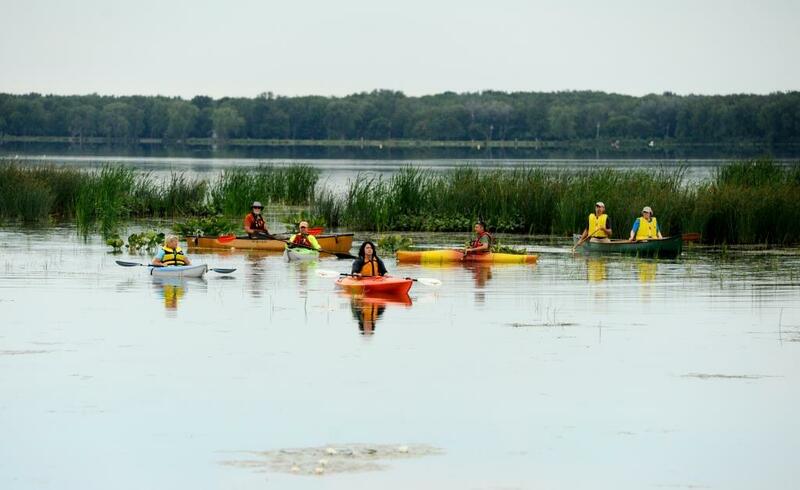 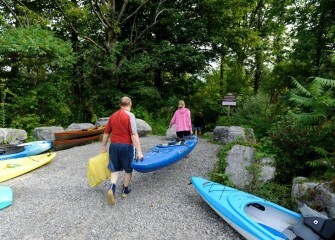 August 2017 - After boating to Onondaga Lake, paddlers return to exit the creek at Honeywell’s canoe access off Pumphouse Road in Lakeland. 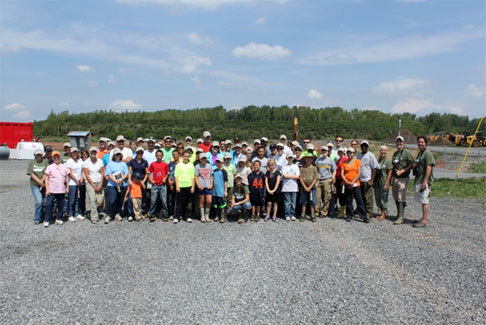 August 2017 - Honeywell’s restoration of Nine Mile Creek also included enhancing stream conditions for fish spawning and migration. 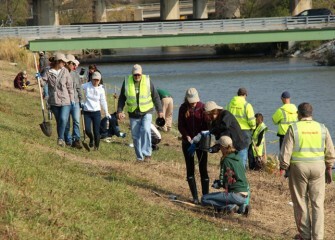 To date, 21 fish species have been documented in Nine Mile Creek since completion of the work. 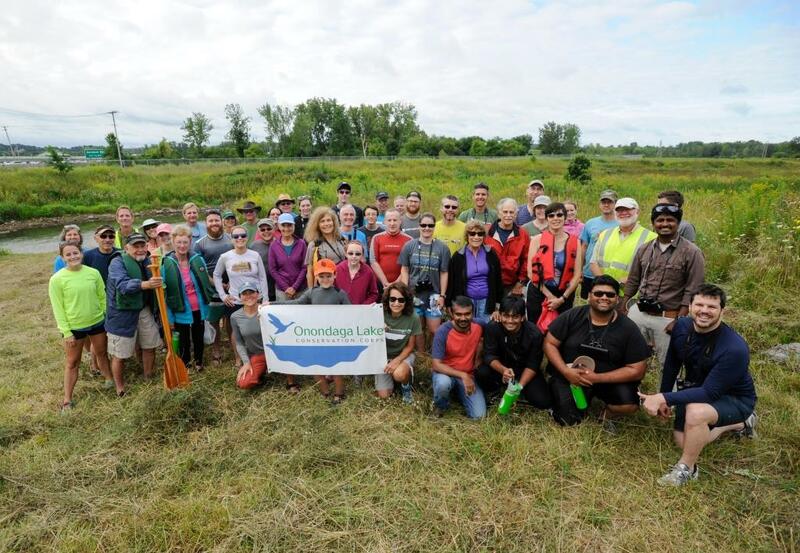 August 2017 - Stacey Keefe and Ben Larsen, from North Syracuse, participated with the Onondaga Lake Conservation Corps, founded five years ago to inspire future stewards of Onondaga Lake through experience-based activities. 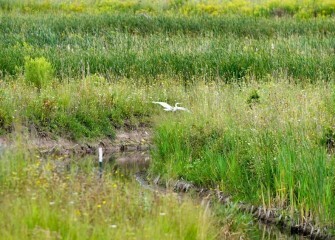 August 2017 - A Great Egret is spotted in the restored Geddes Brook wetlands. 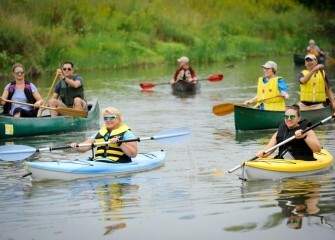 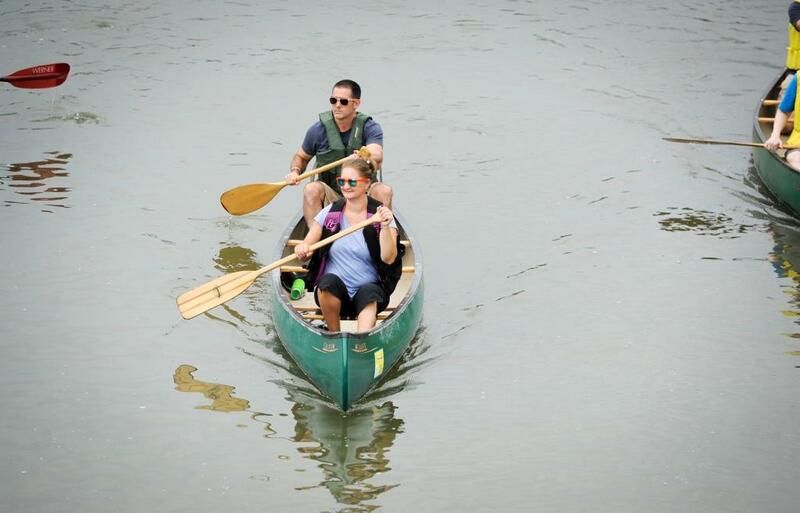 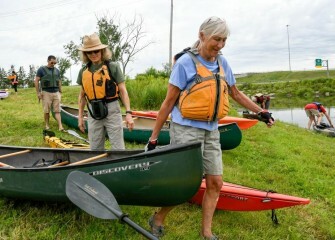 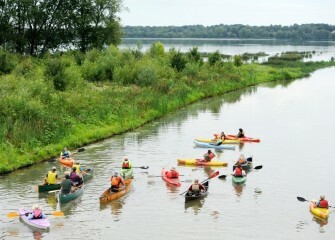 During the August 19th paddle, 31 different bird species were spotted. 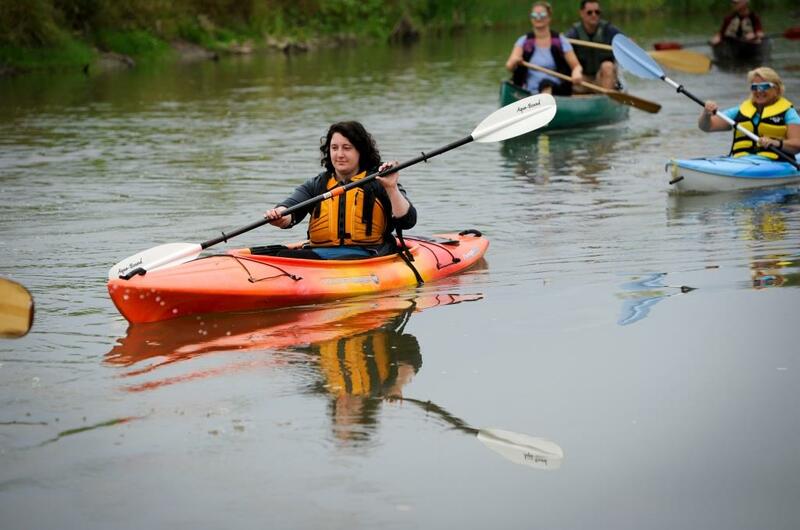 August 2017 - Ruth Florey, Onondaga Lake Conservation Corps member, observes the diverse flora and bird life along Nine Mile Creek, a major tributary to Onondaga Lake. 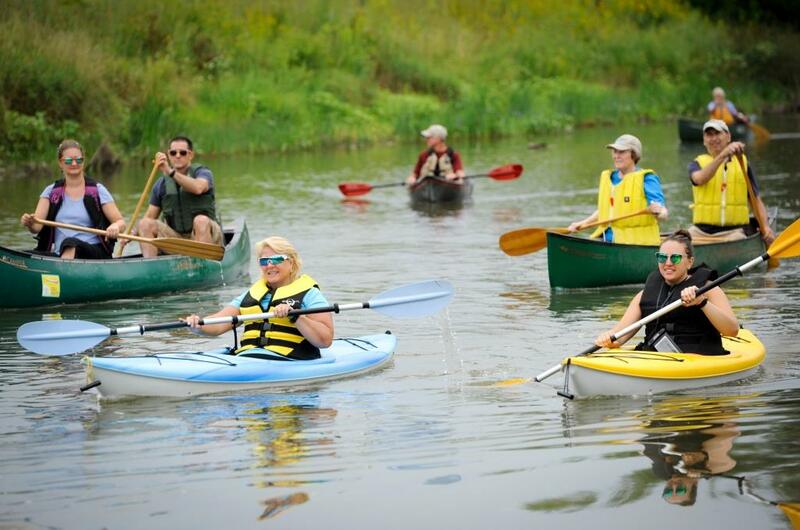 August 2017 - Participants enjoy experiencing the now thriving ecosystem from the vantage point of the water. 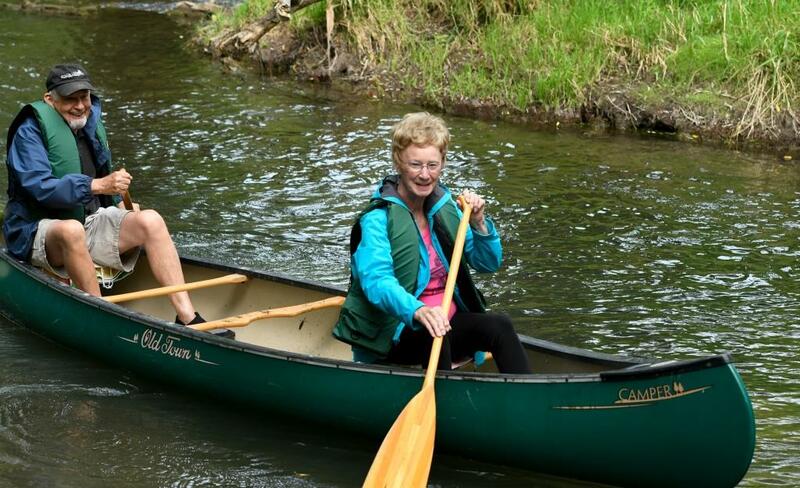 August 2017 - The newly restored portion of the paddle trail is suitable for all experience levels and is navigable during varying water level conditions throughout the year. 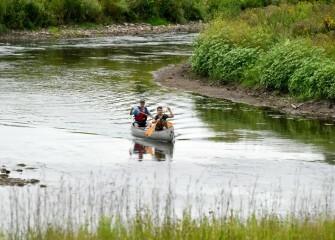 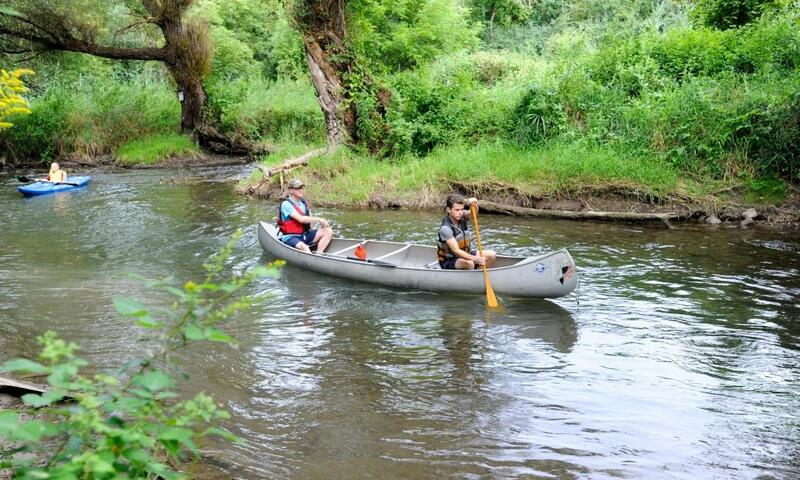 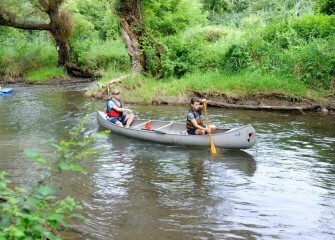 August 2017 - Scott (left) and Sam Stearns, from Marietta, navigate down a healthier Nine Mile Creek. 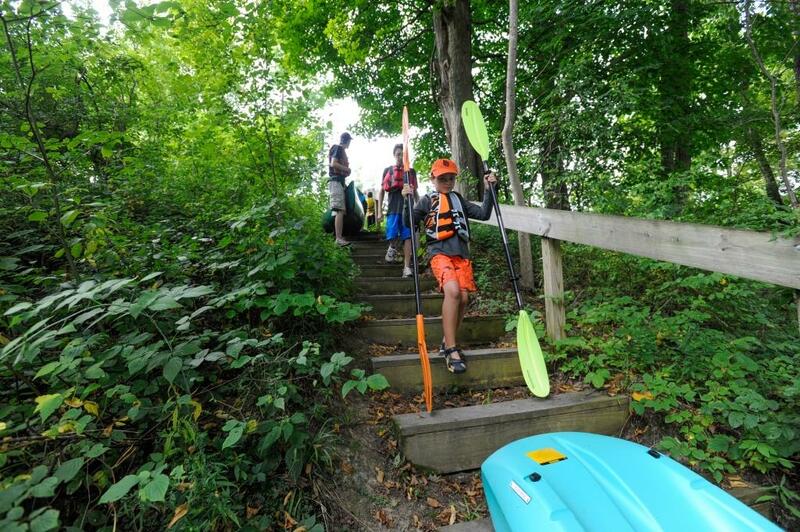 August 2017 - Grant Clift, age 8, from Baldwinsville, carries kayak paddles down to the creek shoreline. 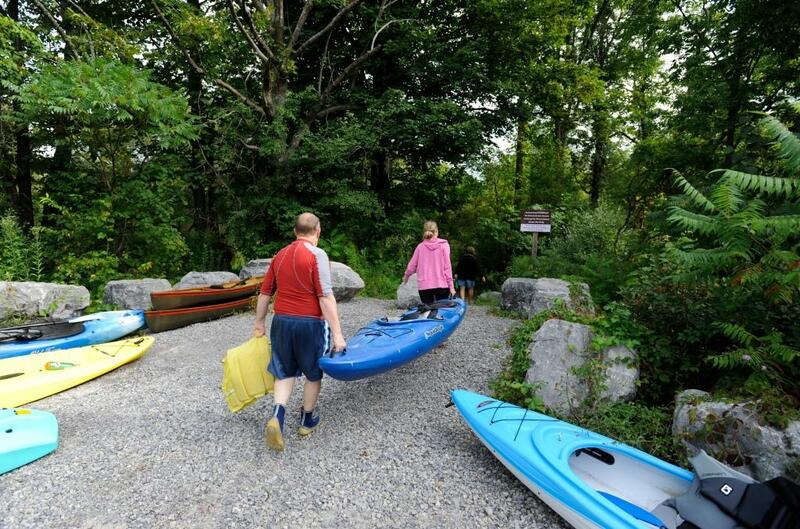 August 2017 - Kayakers and canoeists begin their paddle at Honeywell’s Airport Road fishing access area in the Town of Camillus. 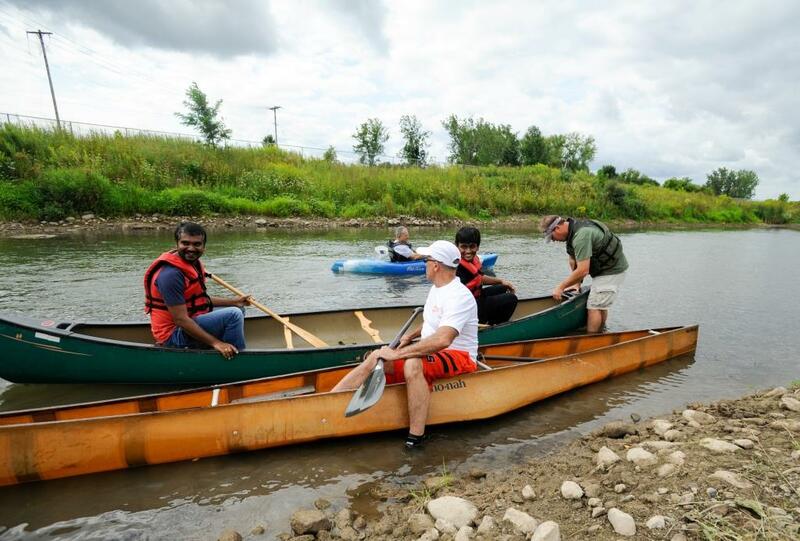 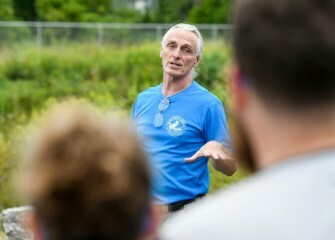 August 2017 - Before the event, paddlers are greeted by representatives of several participating organizations including Fred Miller, Founder and President of Nine Mile Creek Conservation Council. 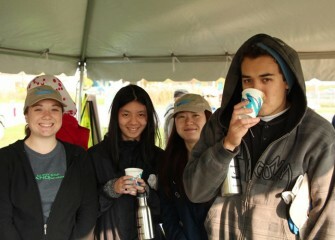 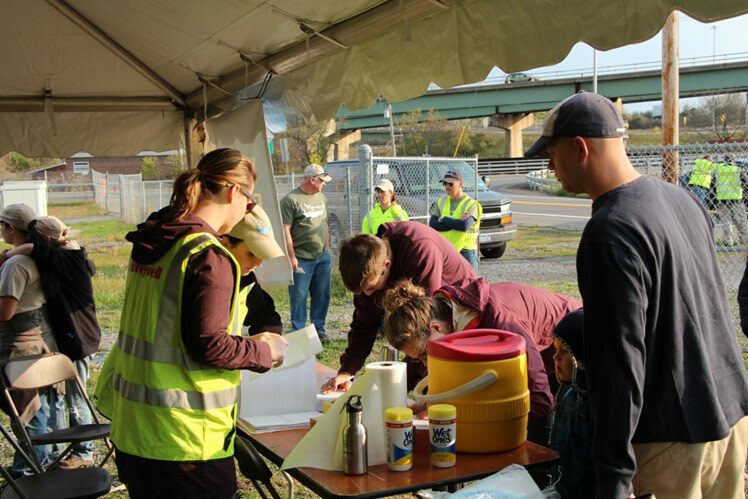 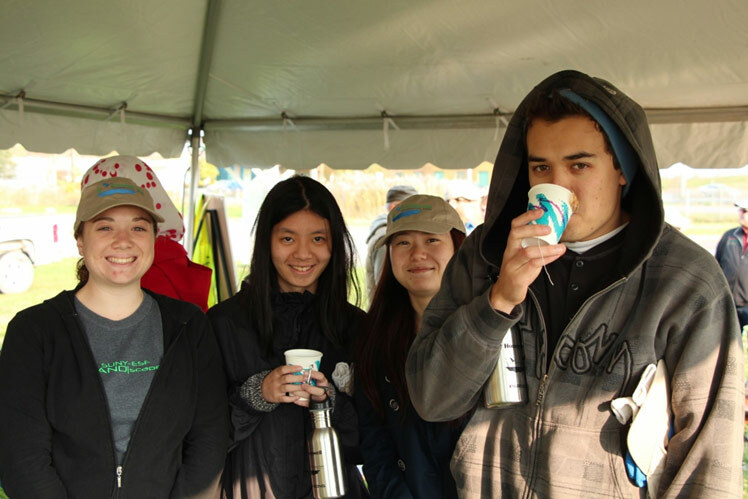 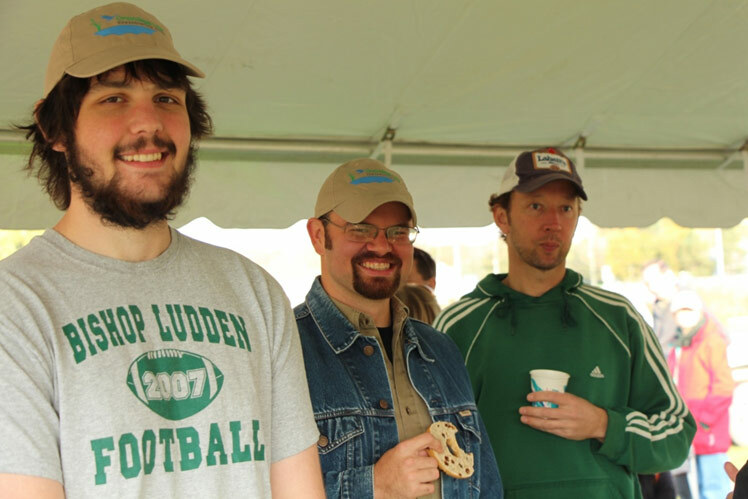 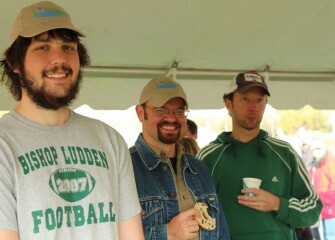 October 2013 - Onondaga Lake Conservation Corps volunteers arrive on a Saturday morning and sign in at the main tent. 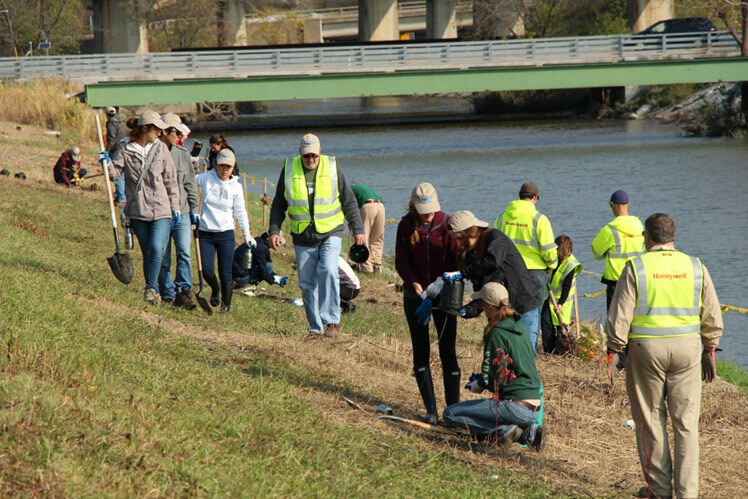 October 2013 - SUNY Environmental Science and Forestry (SUNY-ESF) landscape architecture students were among 50 volunteers who helped plant native plants along Nine Mile Creek. 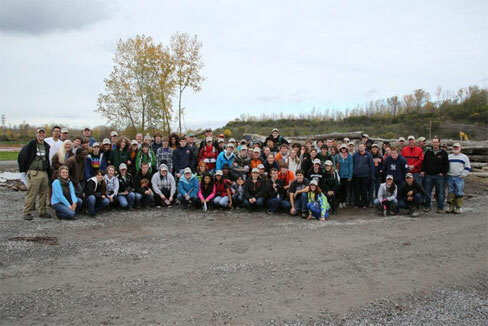 October 2013 - SUNY-ESF students gather before the planting event. 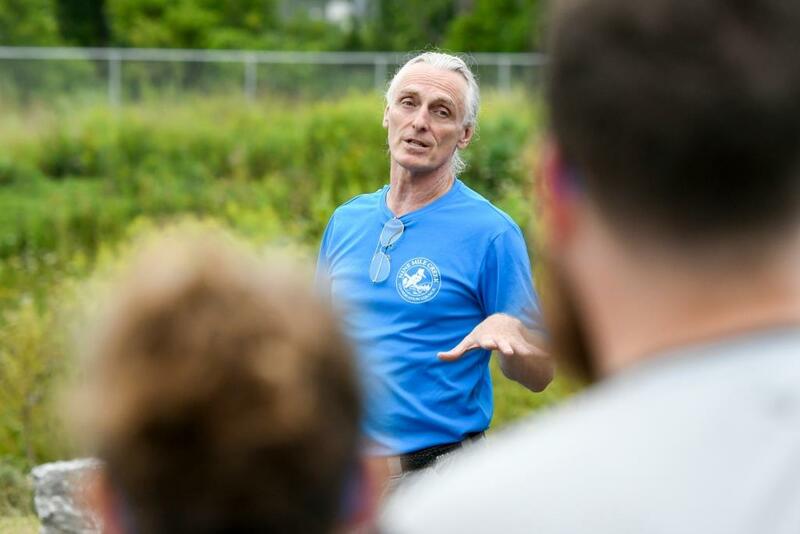 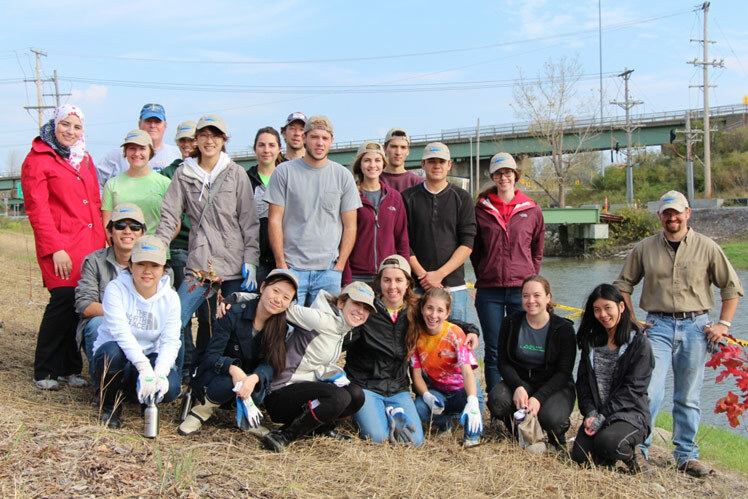 SUNY-ESF has worked in partnership with Honeywell to help select native plants for restored wetlands at the LCP site, Geddes Brook, and Nine Mile Creek. 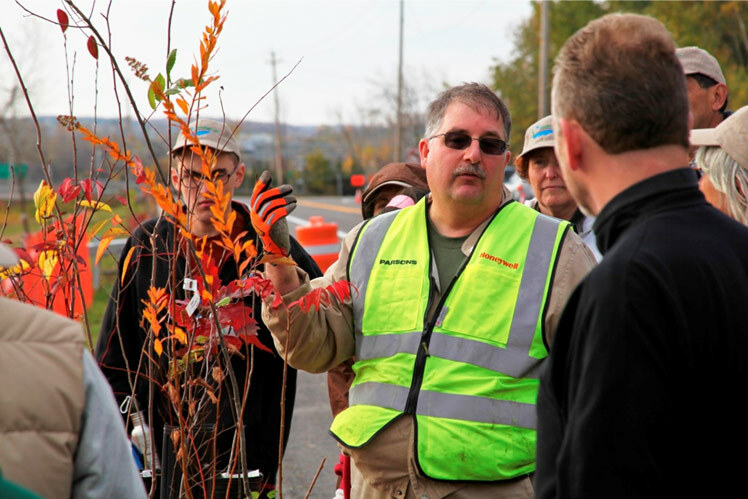 October 2013 - Ray D’Hollander, Parsons environmental engineer and Corps volunteer, shows participants native trees they will help plant. 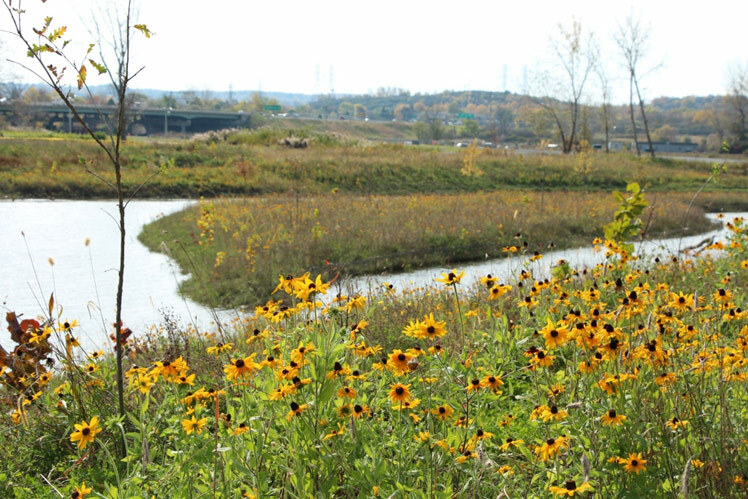 October 2013 - Native, or indigenous, species are very well adapted to local conditions. 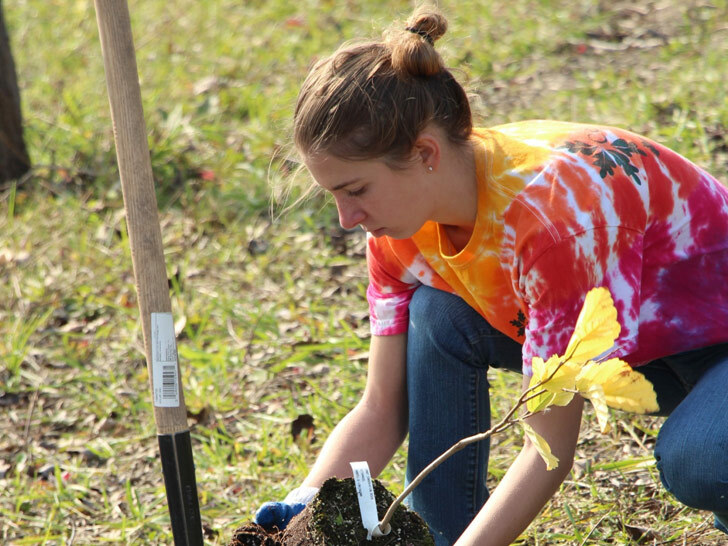 October 2013 - Native plants also provide the best food and habitat for native wildlife. 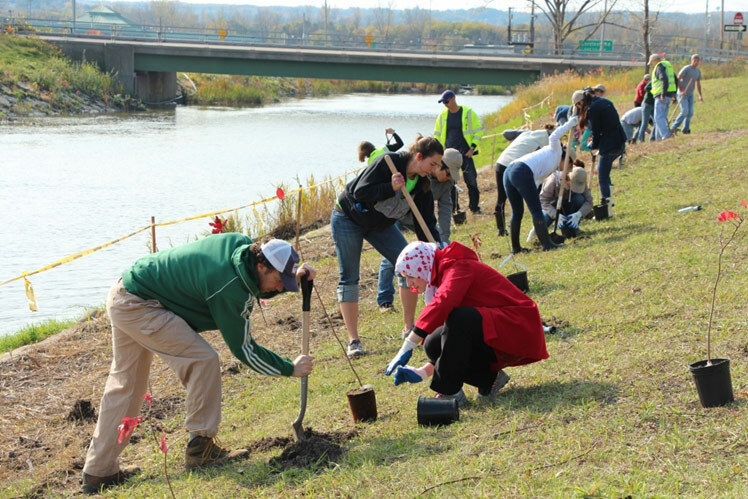 October 2013 - Corps volunteers carry trees and shrubs to the planting area along Nine Mile Creek. 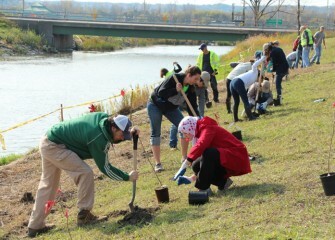 October 2013 - Participants spread out along a section of Nine Mile Creek to place new trees and shrubs. 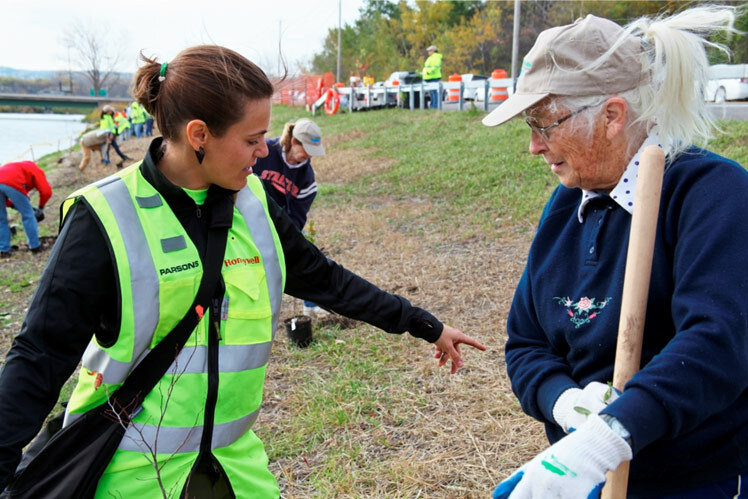 October 2013 - Natalia Cagide-Elmer, SUNY-ESF teaching assistant and Parsons intern, works with volunteer Barbara Sleight to pick a good spot for a young tree. 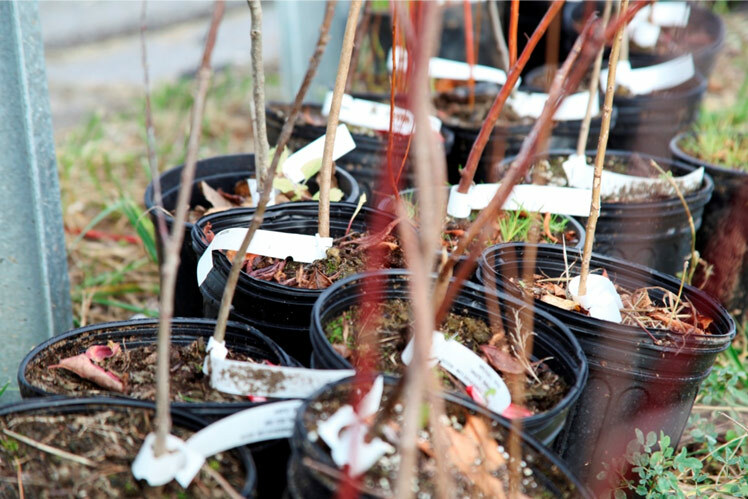 October 2013 - In fall, the air is cooler but the ground is still warm, making it an ideal time to install new plants. 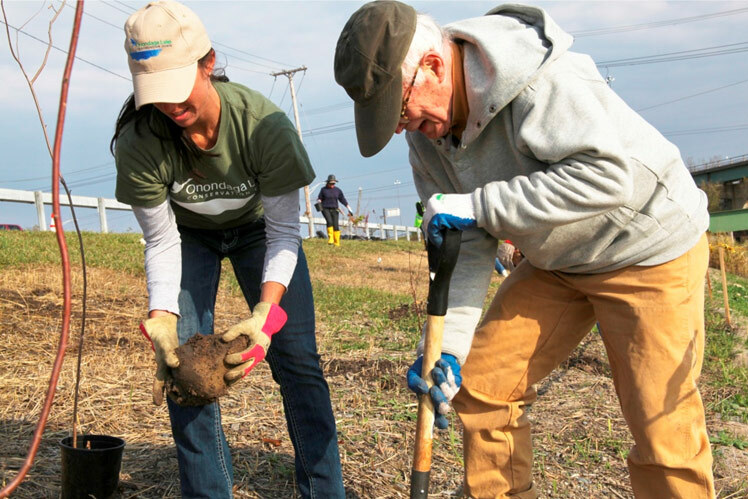 October 2013 - Heather Philip, senior scientist at Parsons, removes a rock while volunteer Richard Askeland digs a hole. 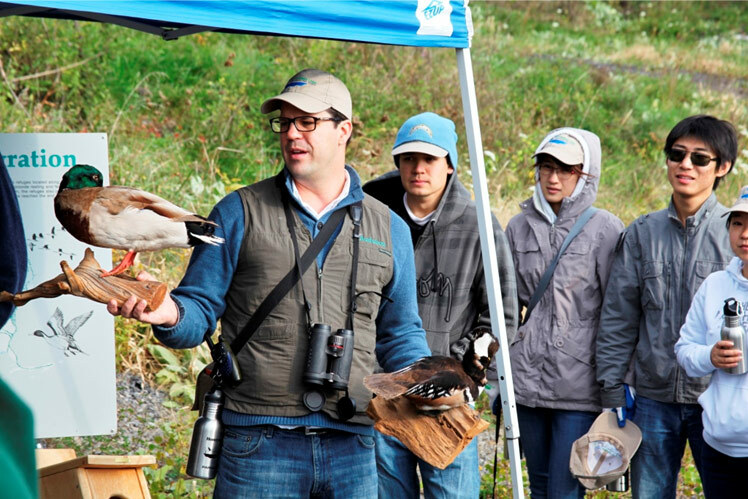 October 2013 - Frank Moses, Onondaga Audubon Society Board Member, describes birds native to the area using mounted specimens. 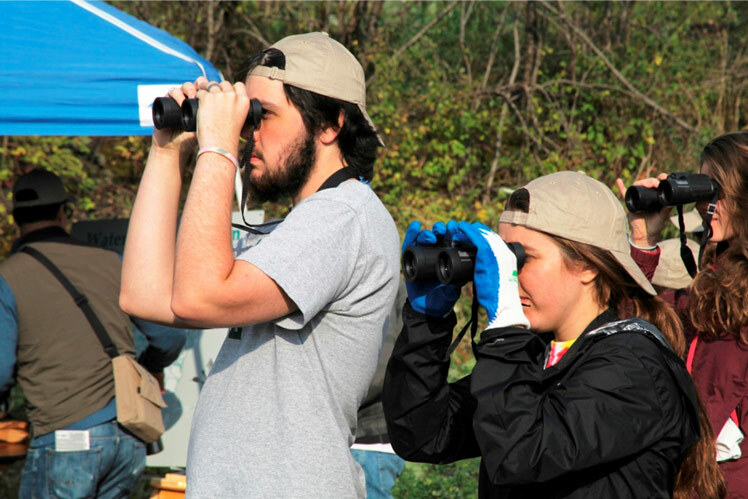 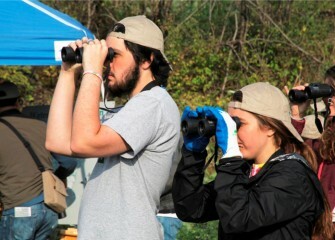 October 2013 - Participants track birds seen in the vicinity. 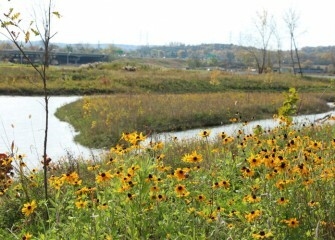 October 2013 - The area planted is not far from the Nine Mile Creek canoe launch, which will reopen in 2014. 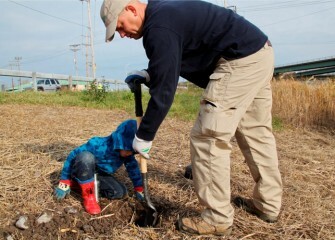 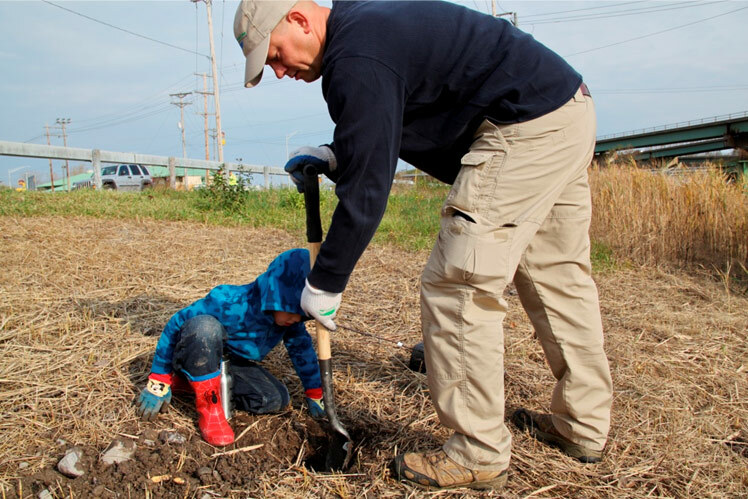 October 2013 - David Amidon, Onondaga Lake Conservation Corps member and 8th grade science teacher at LaFayette Junior-Senior High School, digs with his son Aiden. 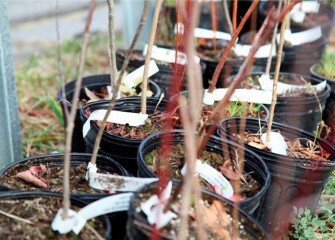 October 2013 - The new plants will have time to become established before going dormant in winter. 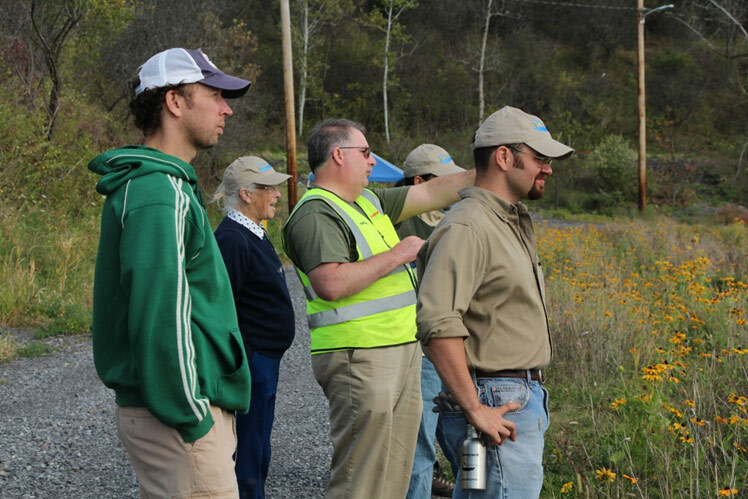 October 2013 - Onondaga Lake Conservation Corps volunteers also view an area of Nine Mile Creek wetlands planted in 2012. 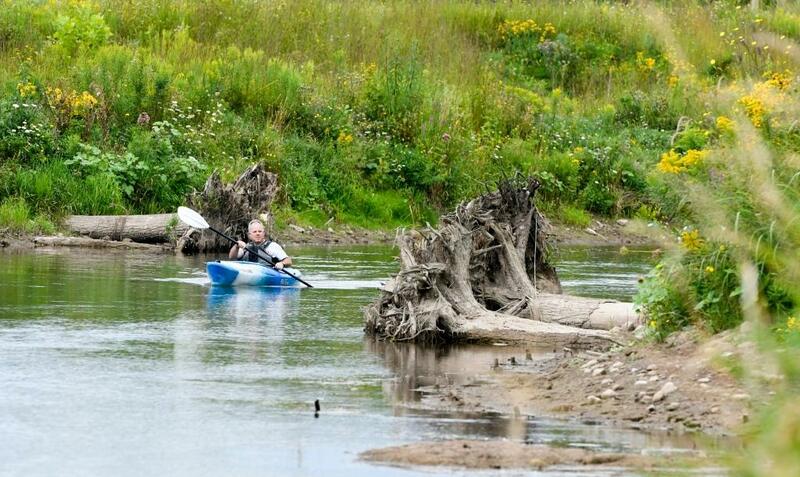 October 2013 - To date, nearly 10 of 30 acres of Nine Mile Creek have been restored. 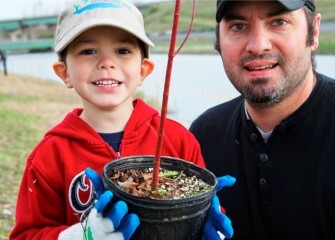 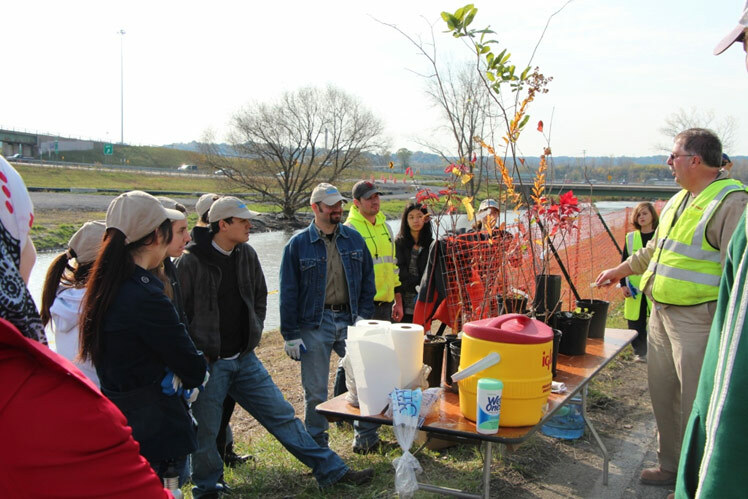 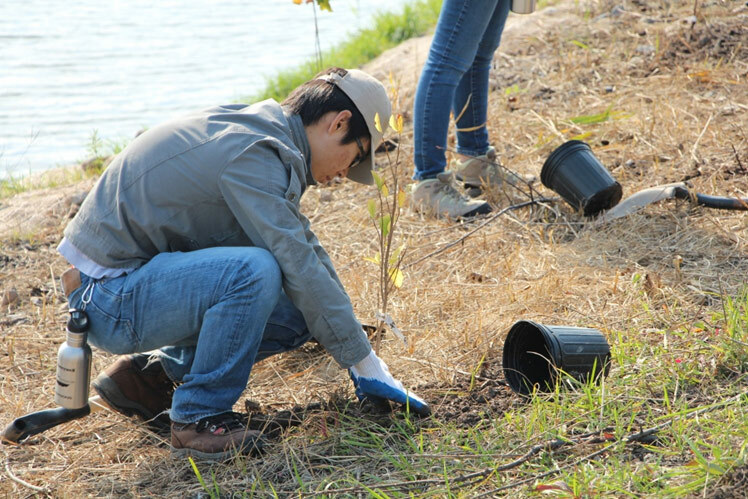 October 2013 - As new plants mature, this young Corps volunteer will be able to look back and remember when he helped plant this tree important to the Onondaga Lake watershed. 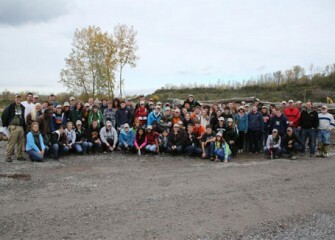 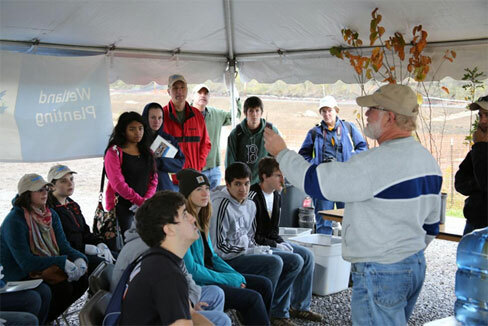 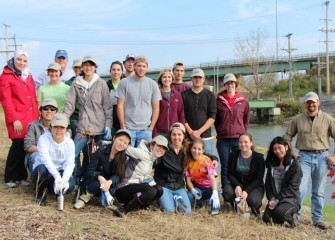 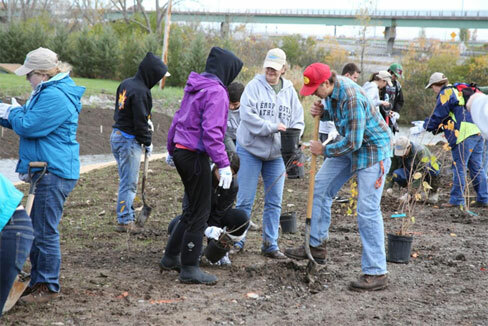 October 2013 - SUNY-ESF student volunteers and environmental stewards now part of the Onondaga Lake Conservation Corps. 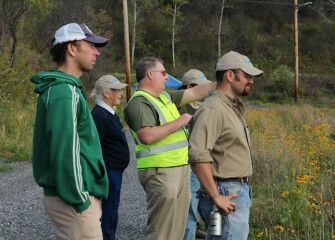 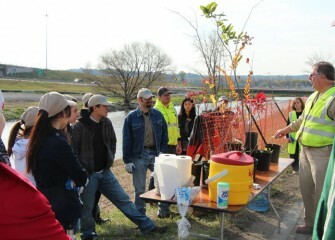 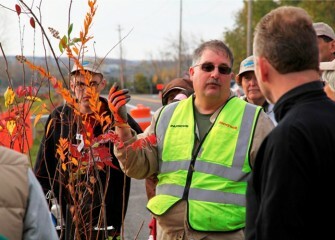 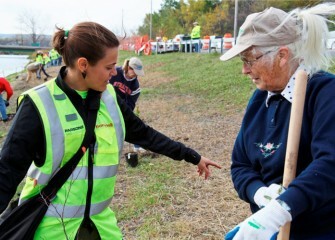 October 2012 - Volunteers plant native shrubs and trees to enhance habitat at Nine Mile Creek. 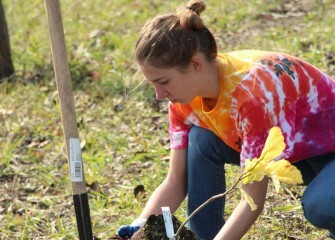 October 2012 - Community volunteers get their hands dirty planting trees at Nine Mile Creek. 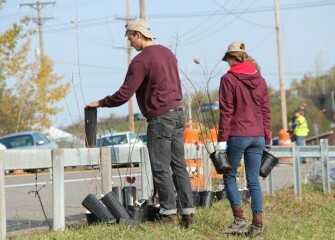 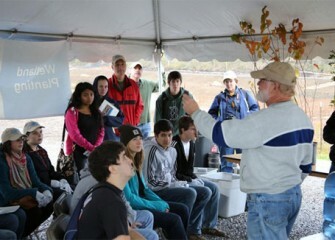 October 2012 - Student volunteers from SUNY-ESF plant a native tree to enhance habitat at Nine Mile Creek. 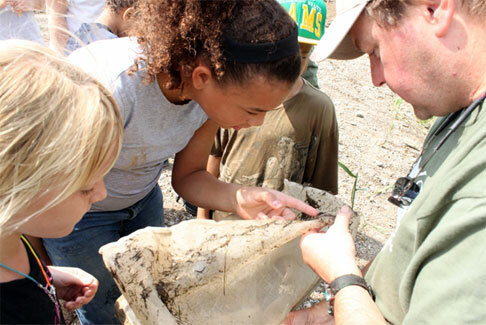 August 2012 - Onondaga Lake Conservation Corps members investigate samples collected from Nine Mile Creek during an environmental stewardship event that included citizen science monitoring, planting native plants, and birding. 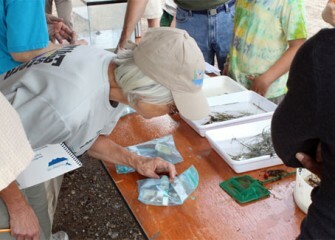 August 2012 - Volunteers look at species collected from Nine Mile Creek. 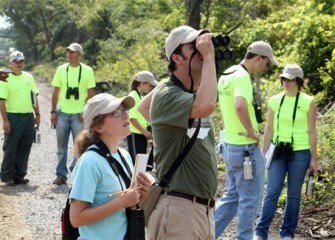 Monitoring programs assess the progress of habitat restoration and enhancement. 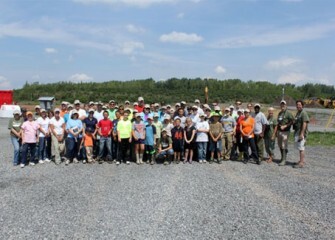 August 2012 - Volunteers preparing to plant native species. 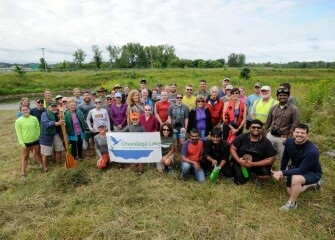 The plants will help re-establish wetlands and improve habitat and the ecosystem, creating a productive, healthy Onondaga Lake watershed. 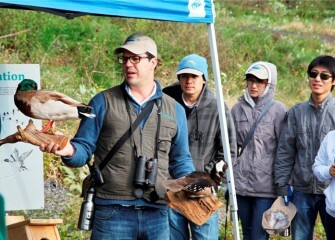 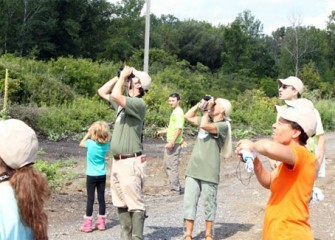 August 2012 - Community members observe bird species including Osprey, Red-tailed Hawk and several varieties of shorebirds during a tour led by Audubon volunteers. 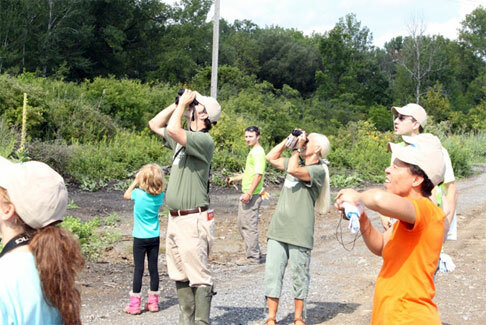 August 2012 - The event helped raise awareness of Onondaga Lake as an Important Bird Area, emphasizing the importance of birding and habitat conservation within the Onondaga Lake watershed to the Greater Syracuse Community. 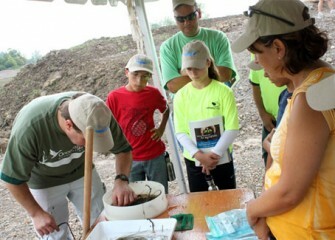 August 2012 - Steve Mooney, managing scientist and habitat specialist from O'Brien & Gere, describes the macroinvertebretes collected from Nine Mile Creek to Camp Green Team members. 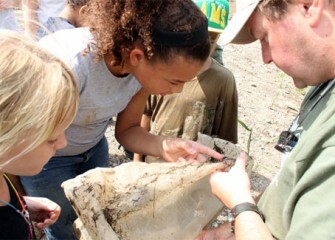 Samples help habitat experts monitor the success of restoration activities. 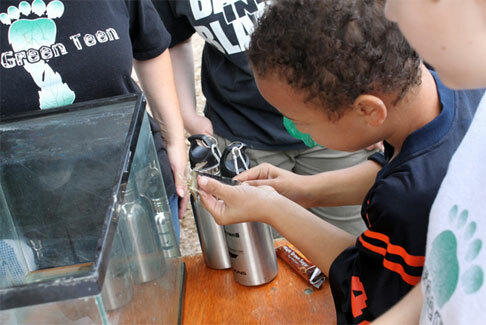 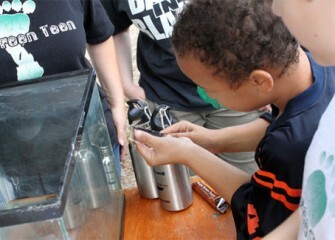 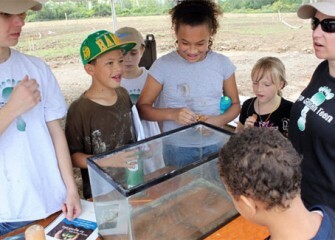 August 2012 - Samples from Nine Mile Creek were placed in a tank to be observed by members of Camp Green Teen. 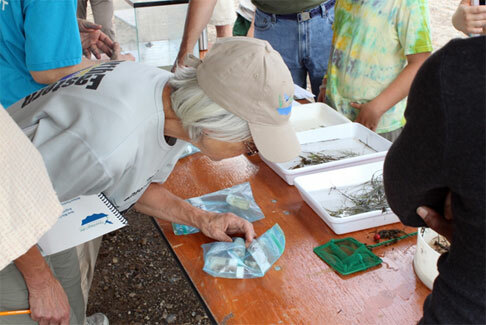 August 2012 - Volunteers took creek samples, noting species type, quantity, and diversity. 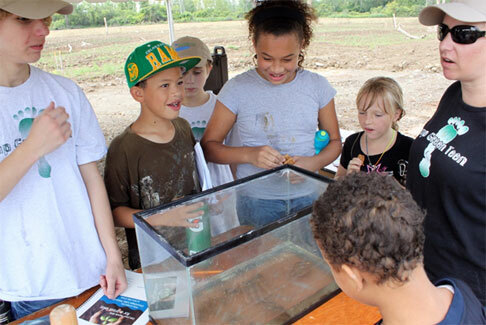 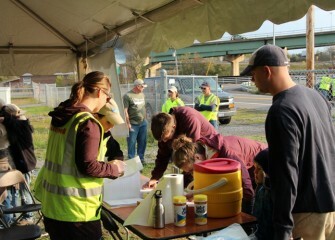 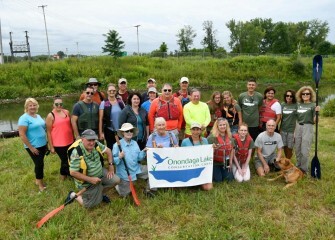 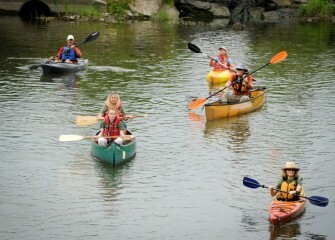 August 2012 - More than 60 community members participated in the Onondaga Lake Conservation Corps' Nine Mile Creek event.